Having got Crisis Point out of the way I've not been doing too much wargame related stuff. I have, however, got a few 28mm medievals finished. First up, I've done a unit of Swiss crossbow-armed skirmishers (bidowers in Lion Rampant terms). The figures are all by the Perrys. The core of the unit is three figures from the metal Italian crossbowmen blister. I chose the least Italian-looking of the figures and did a couple of head transplants using Swiss-appropriate heads from the plastic boxes. The remaining figures are one from the Perry plastic Continental Mercenaries box, an officer with sword and buckler from a command blister, and a chap with a horn who came in the blister that contains the bear mascot. 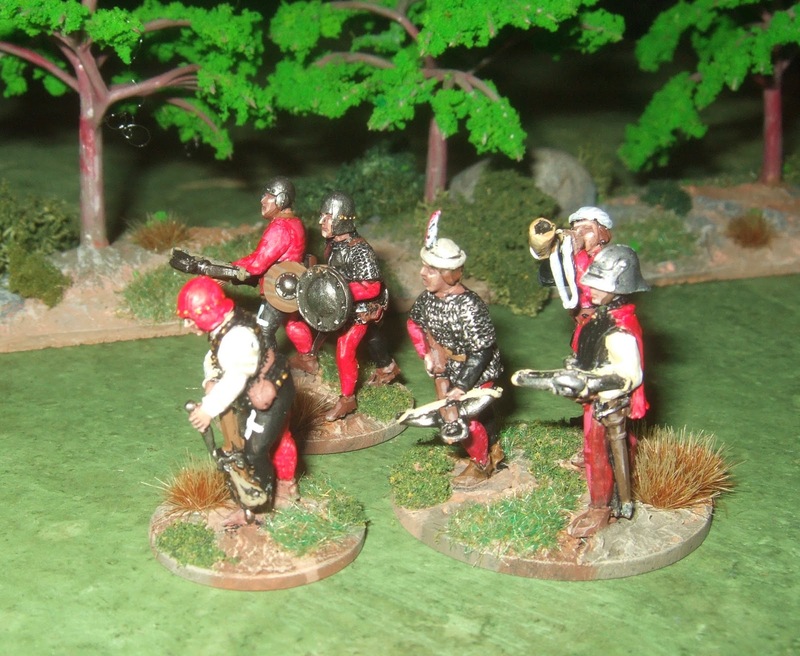 Next up is my unit of Italian mercenaries. Some of these have appeared here previously as a six-man bidower unit. 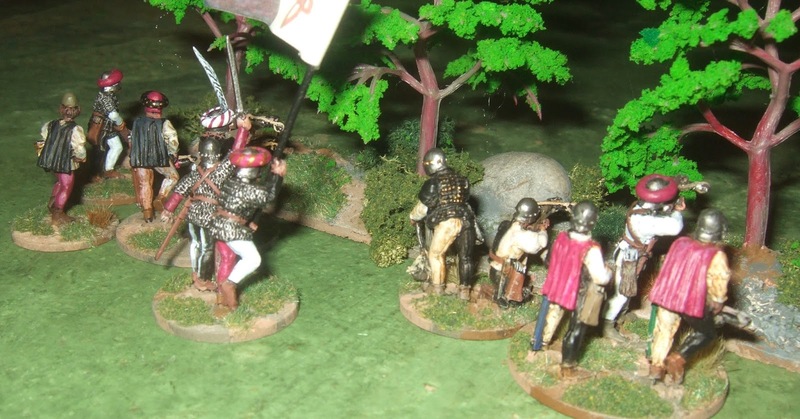 I've now added extra figures from the command and a second Italian crossbowmen blister to give me a full 12-man crossbowmen unit. Because this unit contains repetitions of three castings (again they're all Perry metals) I've added feathers and mazzochios (the cloth doughnuts around helmets) to add a little variety. VEry nice! Funnily enough I'm painting Italians at the moment- same castings. 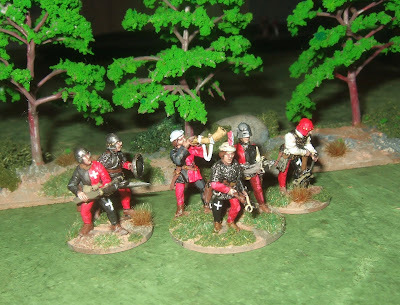 I'm planning a small TtS Florentine army- lots of shooty types and knights.